Life after cheerleading? What is that? 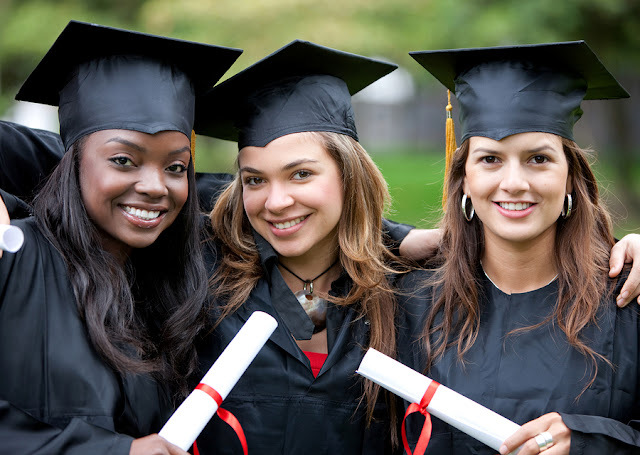 After spending so many years being a cheerleader, it can be hard to come to terms with the fact that you’ve graduated from high school and are no longer a cheerleader or dancer. Sometimes it can seem like a never ending cycle Practices, football season, basketball season, competitions, tryouts, camp and then it starts all over again. It has pretty much consumed your life up until now. So your left with the “well now what?” feeling aren’t you? Think about what cheerleading taught you, the experiences you made, how it shaped who you are as a person. Time management, perseverance, hard work, and over coming a multitude of challenges. One thing to remember us that cheerleading was/is not your whole life. While it might feel like that some days, you have to think about all of the things in life that you have ahead of you. College, new friends, traveling, finding yourself and even starting your career. There is so much you have to look forward to, do not feel like the end of cheerleading is the end of your world. Cheerleading is not life, but it is training you for life. Have you gone through the same thing? 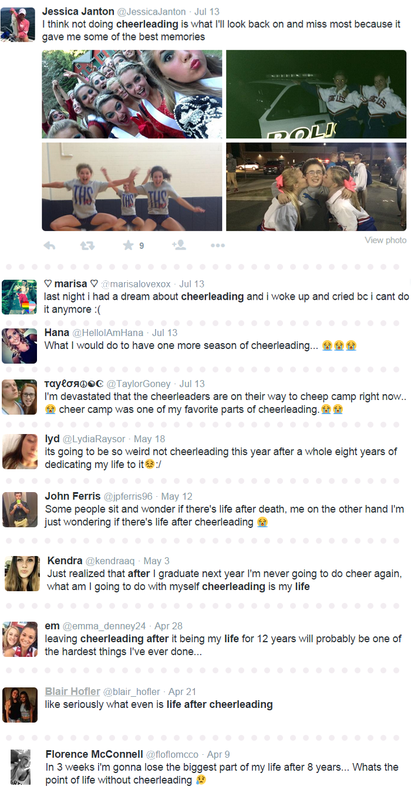 What is your advice to those who are moving on from cheerleading? Comment below, we’d love to hear it!